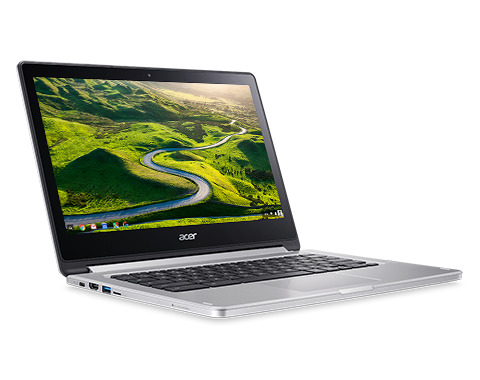 For those of you who haven’t read my first post on the Acer Chromebook R13, head this way. For all the others, here is how my Chromebook held up during the first month of me using it. Biggest learning: there is always a way to work around a problem. Nothing can’t be solved with – thanks to Google and reddit! The hinge is still NOT an issue. I use all the presentation modes (Laptop, Display, Tent, Pad) of the chromebook and haven’t had any problems. The hinge doesn’t seem to get looser or anything. As expected, this is not something to worry about. Speaking of tablet mode – I really dislike it. I didn’t buy this Chromebook for its convertibility and don’t think anyone should do that. It is a nice gimmick, but the performance of the tablet is too weak. Browsing websites is laggy and jumpy – not an enjoyable experience. Still fun for some games maybe. If you specifically want a tablet – don’t buy this! This doesn’t meant that the screen is useless! I find myself using the touch screen way more often than I had anticipated. Sometimes it is simply quicker, sometimes less of a hassle to click on the screen with your finger instead of navigating via touchpad. Be prepared to clean your screen regularly – the constant touching leads to quite some fingerprints that are very obvious on the glaring screen. Printing is a bit complicated if you have an old printer. I had to set up cloud print on my Windows laptop, connect the printer to that laptop and have the laptop powered on. Only then was I able to print documents from my chromebook. Of course, this problem will vanish once all printers have wi-fi. Then again, setting up the print was actually more difficult than I thought. I wanted to print two pages onto one print-out. Unfortunately I could not find out how to set that up in cloud print, so I simply googled for a solution and found http://www.pdfdu.com/pdf-pages-merge.aspx, a service which converts your PDF to whatever setting you chose. Using Android apps isn’t as fun as I expected. I feel like most things can be done via Chrome web apps. Android apps have a terrible resolution so they look terrible on this magnificent screen. Yes, Android apps have better offline capabilities than web apps. But let’s be honest: there is almost always some way to connect to the internet. If there is no free wi-fi, I simply create a hotspot with my smartphone and keep on rocking that Chromebook! Speaking of the screen: the viewing angles are pretty damn crazy! Basically, you can watch from any position and still have awesome colours (no negatives, etc.). This is especially valuable when watching movies in bed as a couple – someone will have a “bad angle”. The sound isn’t very impressive though, since the speakers are under the laptop. Therefore the best sound is achieved in tent mode, when the speakers face the viewers. Sidenote: I found it quite weird that I had to install the camera app before being able to use it. The hardware is installed but the software isn’t. I have never been this fascinated by a piece of technology before, even after using it for one month now. The next post will be released after using it for at least three months.